The leather jacket is one of those timeless wardrobe staples. The go-to item which most people will have at least once in their life. Think off duty, or going out out - the versatile style works dressed up or down. A great investment buy is most certainly a real leather jacket, however, I appreciate not everyone has the funds to pay £200+ per staple item - me included. So, that's when we turn to the beloved high street and it's amazing selection of faux leather styles. 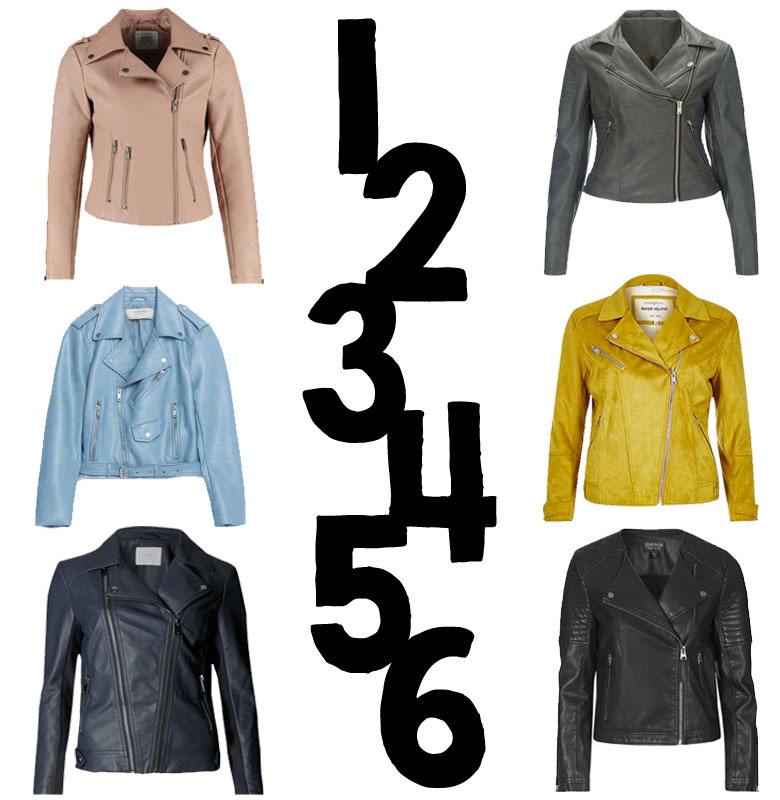 In this post I've featured the classic biker jacket but with a quick search you can find an alternative desired style to suit your budget. I've been loving the classic jackets with an added pop of colour for SS16! One of my most worn purchases has to be the powder blue leather jacket, which was an absolute gem I found in Asda, of all places!